Summer, for many, is about being outdoors. The sun, the heat, the thrill of new experiences — the season brings promises of fun, and sometimes profound memories. 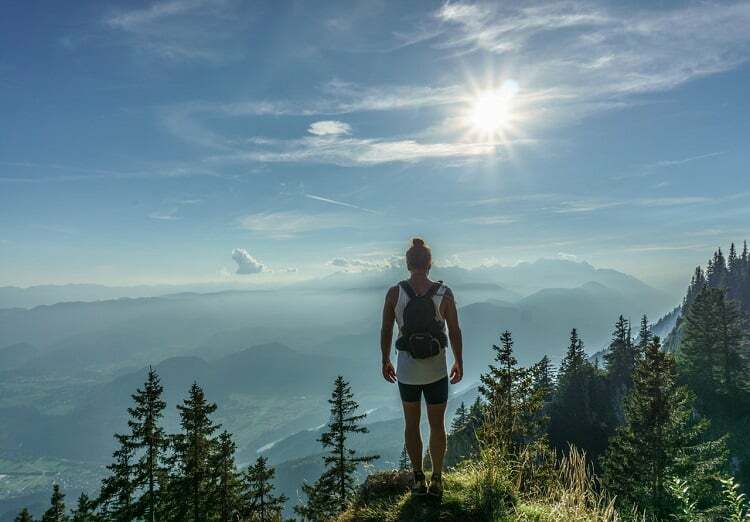 As an avid outdoors-lover, I dream of the prospect of adventures, whether that’s paddling miles down a section of river, or trail running through densely wooded forests. Viewing the world around me from these vantage points is something that not many others get to do, and it is exhilarating! If you are still debating about where your summer is going to take you, don’t leave the decision up to fate. Why not consider an outdoor-centric vacation near some of those cideries you’ve been itching to go visit? Whenever I plan a vacation, I make a list of all surrounding points of interest. Food and drink locations are the first things I research. So, when I see a cidery close to my destination, I make a point to put it on the map. I travel regularly to locations where locally owned cideries don’t always exist, so to find just one, let alone multiple cider options, is so refreshing! Which brings us to the town of Brevard, North Carolina. Less than an hour outside of Asheville, Brevard is a quaint little town that rests on the edge of the Pisgah National Forest. North Carolina is gorgeous: the densely wooded expanses, the vast farmlands … There is just so much serene beauty! 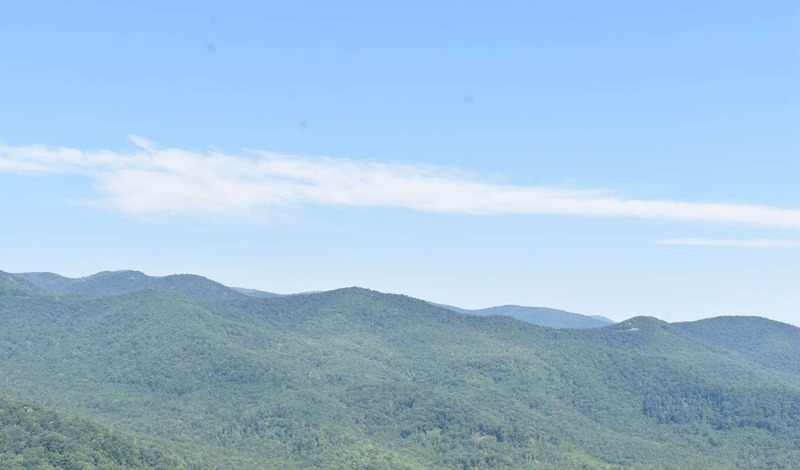 A short distance from Brevard lies the edge of the Pisgah National Forest, a forest within the Appalachian Mountain range in western North Carolina. 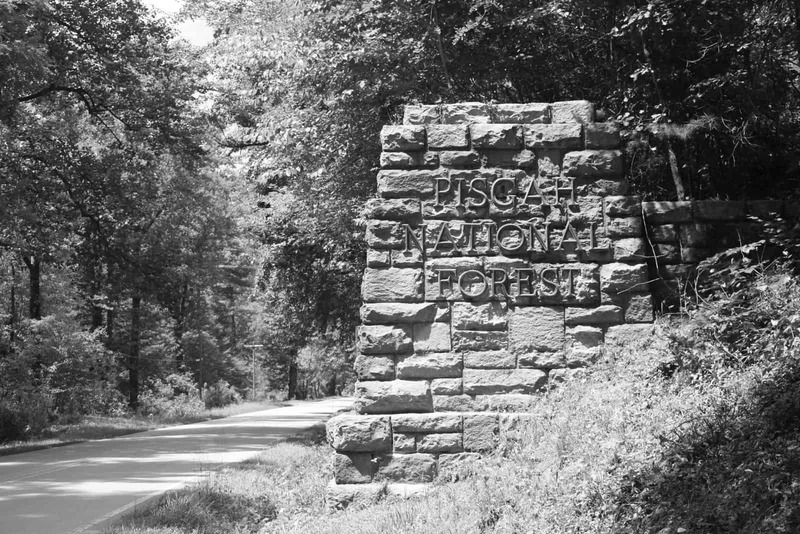 Pisgah National Forest is comprised of cascading waterfalls, such as Rainbow Falls, and mile-high peaks. The forest contains hundreds of miles of trails, but one hike, in particular, to consider is to the crest of Looking Glass Rock. Park along the Fort Heritage Scenic Byway to access the beginning of the Looking Glass Trail. Prep yourself with plenty of water and a snack before making the climb — you will need them! Starting your trek earlier in the day is best, because the infamous North Carolina summer heat waits for no one. Small cascades along a stream are what will greet you when you begin your journey. Along your 1,700-foot climb, you’ll encounter many switchbacks to help ease the moderately difficult climb of just over three miles. Within the first mile of your hike, you will enter a section of trail surrounded by gorgeous rhododendron. You will feel small among the masses of leafy bushes, as the trail begins to narrow. You will reach a flat rock area, used in case of emergency as a helicopter pad by rescuers to aid injured climbers. This will be your two-mile mark and you will be well aware of how intense the North Carolina humidity can feel against your tiring body, so be sure to stay hydrated! The summit of Looking Glass does not actually have any views, in fact, you must continue along the trail past the summit and descend towards the opening of the Upper Looking Glass Cliffs. 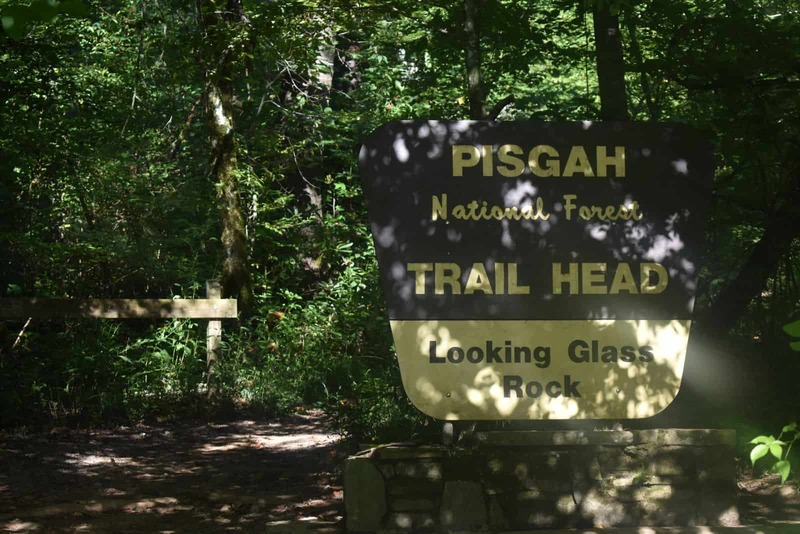 Once you walk out onto the clearing, all of the sweating and cursing that may have ensued as you tripped over the large roots along the path will have been worth it as you look out onto Pisgah National Forest. Pictures do not do the views justice! Calm and beautiful, it is everything you hope for on a hike. Sit down along the flat rock that lines the edges of the cliff and soak in all of the simplistic aesthetic that is the nature around you. This is one of those moments that you wish you had a celebratory cider in hand to celebrate your accomplishment! Don’t worry, my friends, that moment is coming. Hiking is one of my favorite ways to enjoy the beauty of nature. The experience can be so calming, as you leave your day-to-day worries behind at the beginning of the trail. I feel accomplished and refreshed once I have reached the end of my journey. Rewarding myself with a post-hike beverage is usually the first thing on my mind. Lucky for you, there will be some local cider options that are within a short driving distance of Looking Glass Trail. 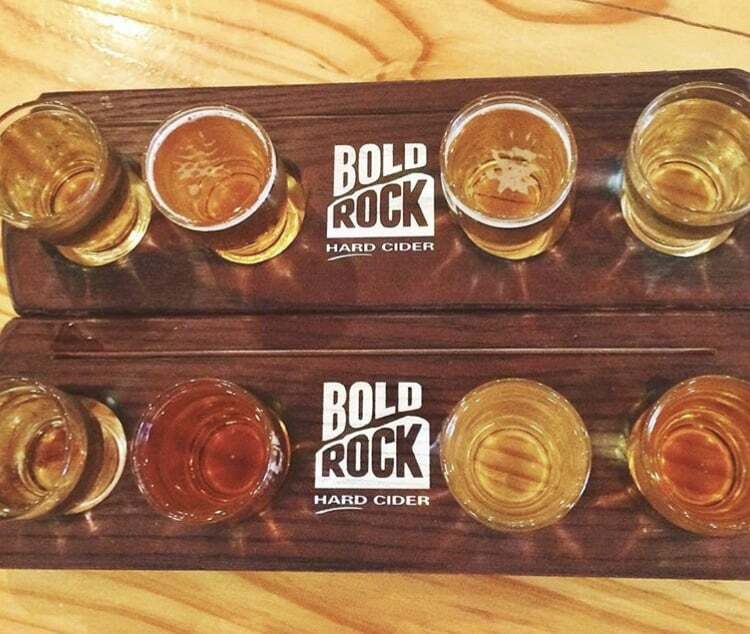 So, make Bold Rock Hard Cider the first stop on your local cider tour! Located 20 minutes away from Pisgah National Forest, Bold Rock’s Mills River location is everything you need for a post-workout release. I didn’t waste any time before diving into a flight of Bold Rock’s flagship ciders. Just one sip of the Carolina Apple helps quench your thirst and revive your body after the strenuous 6.5 miles hike. (This may be a slight exaggeration, but it is quite refreshing!) Other reasons to come visit Bold Rock is the Bold Bites Mobile Kitchen, where you can enjoy Southern BBQ indoors in the air-conditioned taproom or outside in the Cider Garden. When I was there, there were also plenty of dogs for guests to pet because Bold Rock is, of course, dog-friendly! Just a short half-hour drive from Bold Rock Mills River is Asheville, N.C. Some people think of Asheville as a brewery mecca, with 26 breweries alone in the downtown region. But, the draw for local Carolina cider is also what keeps the droves of people venturing back to to this cool town year-round. Noble Hard Cider is Asheville’s first hard cidery and, in fact, was the first cidery in Western North Carolina. Urban Orchard Cider Co. & Bar is located in West Asheville, nestled between Archetype Brewing and Hole Doughnuts. Cider is becoming ingrained in the town’s beverage scene, so be sure to stop in for a flight, and don’t forget to take in all of Asheville’s quaint beauty. Whether you’re planning a weekend getaway or a week-long adventure, keep North Carolina at the top of your list of must-see places to visit, and let your summer be full of adventure! What adventures do you have planned for this summer? Let us know in the comments below.